In this program, you’ll learn about the art of facilitation as well as the process and tactics that make it go smoothly. We will address the needs of those who are interested in becoming facilitators as well as the needs of the organizations that are looking to employ facilitators. 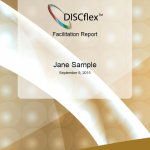 You’ll learn what facilitation is, what qualities make the best facilitators, and how to best employ facilitators. You will also learn how to properly prepare for and carry out an effectively facilitated meeting by steering the audience from an engaging opening through to a well-planned conclusion. Nearly everyone has suffered through a bad meeting or presentation. Those that seem to have no real point at all, and drag on, going nowhere. Avoid this common pitfall and ramp up your meetings to get results with proper use of facilitation during meetings. In the Facilitation course, the sessions take participants through critical skills such as how to ask the right questions, how to deal with conflict, how to encourage people to participate more, and how to deal with difficult participants. Then the course will provide you with some real-life examples of activities you can use to enliven your own presentations and make them more effective. Indaba’s course on Facilitation is a necessary tool for your organization so that teams and management can operate effectively with the use of a facilitator by showing how to create an agenda and move people along. It explains how important it is to teach people to getting to the point in meetings and focuses participants on working through and solving the issues at hand. Learn how to utilize certain qualities that effective facilitators possess like enabling groups to work cooperatively and effectively, negotiation, mediation, arbitration, conflict resolution and confrontation. Resolve conflicts during team meetings with ease and get the team “back on track” in order to produce real results. Sometimes, meetings are called and everyone involved seems more concerned with talking over one another than listening to and feeding positively off each other’s ideas. Perhaps the problem was simply that no one was clearly told what their responsibilities were and therefore had no idea how to carry them out after the meeting ended. Avoid these pitfalls with proper facilitation techniques which saves your organization time and money. With proper facilitation meetings, lectures, or seminars can become highly useful tools for your organization. A well-facilitated presentation is informative and insightful. Participants leave with a sense of what they need to know to move forward and they are clear on what they and the organization must accomplish. Train your employees and management how to become effective facilitators with the tips and tactics that this course has to offer – all at a minimal cost. This course is available in a group or one-on-one. In person training is a great way to make learning more enjoyable and memorable. Our blended learning approach uses a custom blend of in person training, webinars, phone conversations, and elearning. 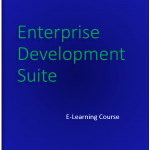 Our E-Learning option is great for self improvement or employee training. Our learning management system tests retention and tracks progress. 100% online. Ready to get your free quote yet?